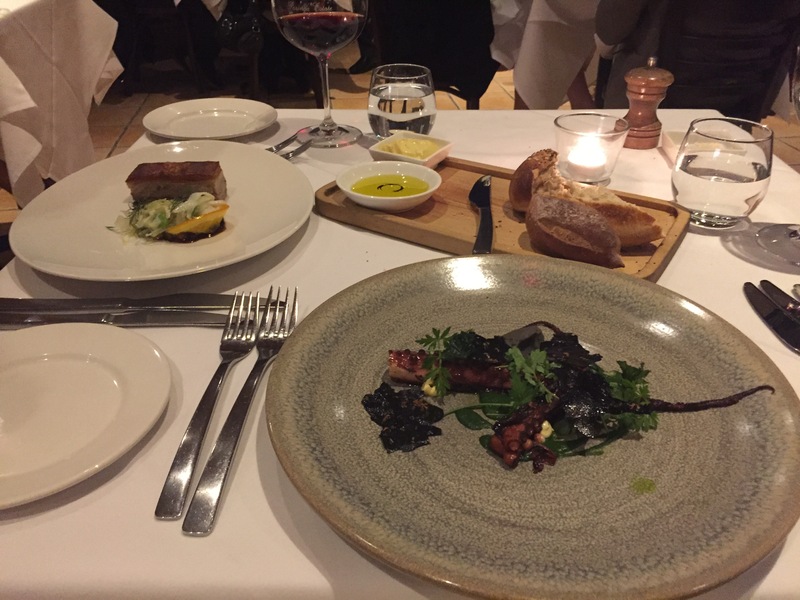 Having always been scared off by the dollar signs that invariably come with dining at estates in the Mornington Peninsula, I finally conjured up the courage to ignore my head/wallet and follow my heart/stomach. Boy, was it a bet that paid off. The wait staff were all incredibly lovely, as we were kindly shuffled over to our table with a view (per my request). Not only did they have an adept understanding of wine – as one would expect at an estate winery – but they were also personable and incredibly attentive. Okay, enough of setting the scene, let’s get down to the food. Despite having delicious house-made breads, locally sourced EVOO and anchovy infused butter staring at me in the face I bit my fist and decided to wait for the main dishes – wise decision, Will. I ordered the charred octopus, which was accompanied by mirin, eggplant and nettle. The Japanese flavours did the trick in terms of providing a kick-start to my palette but it proved to be a bit overpowering once you reached past halfway; creating an unpleasant Vegemite after-taste (not a huge fan of Vegemite but hey, to each his own). Nevertheless, the octopus was cooked to perfection and its texture was ‘melt in your mouth’ rather than the ‘deep-fried tyre’ texture that you can get when it’s overcooked. The star of the entrees however was the suckling pig, of which the chef assembled with all of the juiciest parts of the pig (thank you little piggy). The crackling that topped the mound of pork gold wasn’t your obligatory chewy and tough pork crackling that usually comes with suckling pig but rather the cherry on the icing of the cake which added the important crunchy texture to marry the rich flavours of the pig. It is safe to say that the octopus and the pig led incredibly happy and healthy lives. Just when I thought it was all over, my girlfriend and I decided to relish (or more like succumb to) our prematurely aging lives by ordering sweets and coffee; on one plate we had Petits fours, consisting of miniature cakes that you would find at your usual patisserie, which were good but nothing out of the ordinary. 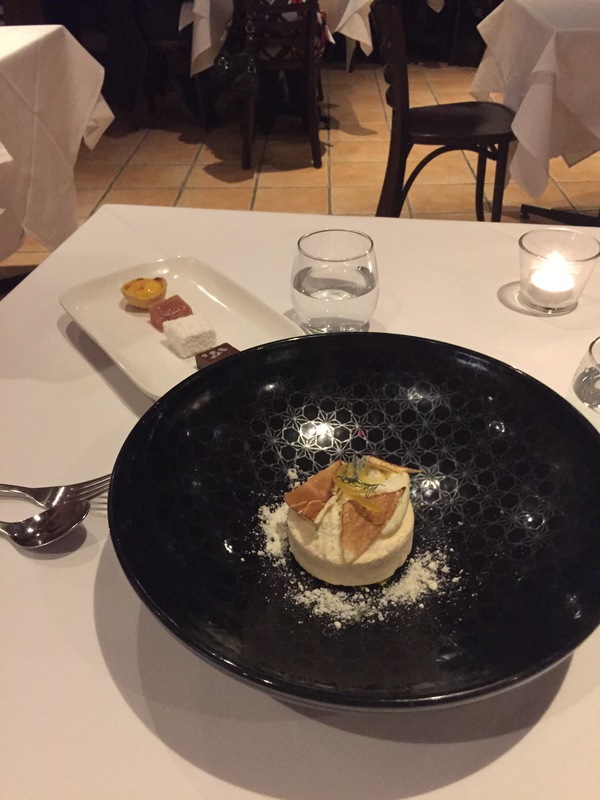 The lemon parfait, on the other hand, was out of sight. The delicate fluffs of rich mascarpone were intertwined with the zest of the fresh lemons (think rich dollops of thick whipped cream and summertime lemon gelato from your childhood). To add a bit of crunch pistachios were peppered throughout and the Sichuan-infused meringue (yes Sichuan, as in the peppers) played its role by tiptoeing in the palette to ensure its presence was registered. Hands down one of my favourite desserts. 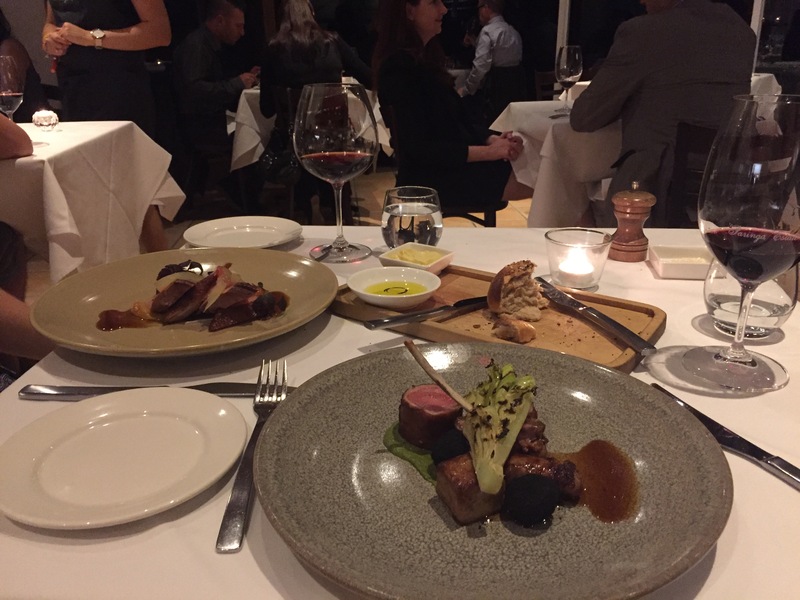 Posted on October 19, 2015 October 19, 2015 by wyzhongPosted in Australia, Melbourne, SteakLESSTagged Amazing, Lamb, Octopus, Suckling Pig, Winery.